Sable (www.sablechicago.com) is a new favorite of mine. The food is delicious and the atmosphere is fun and trendy. The menu is based around small plates, so everything is meant to be shared. I love small plates because it gives me an opportunity to try several things from a menu and I find it to be a more interactive dining experience. With these small plates, you can order a half order or full order which is great because it allows you to tailor the meal to the size of your party. Everything on their menu looks amazing – I can’t wait to go back and try more! 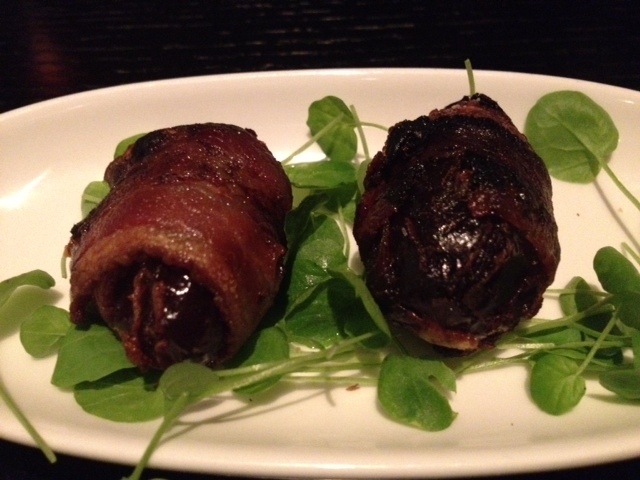 Bacon wrapped dates are always good, but these are phenomenal. The bacon is lean and smokey, which nicely compliments the sweetness of the date. Not to mention, they are stuffed with blue cheese. We definitely could have eaten a full order of these! You may think to yourself, what is bacon jam? Well, bacon jam is exactly what it sounds like. It has a fruity, bacon taste and a jam-like consistency and is topped with melted brie. It’s incredible. 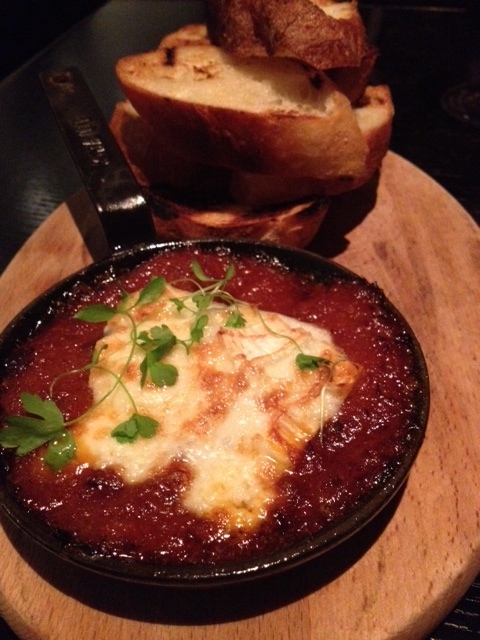 This dish is an aboslute must-have if you go to Sable! This is a great take on a classic lobster roll. 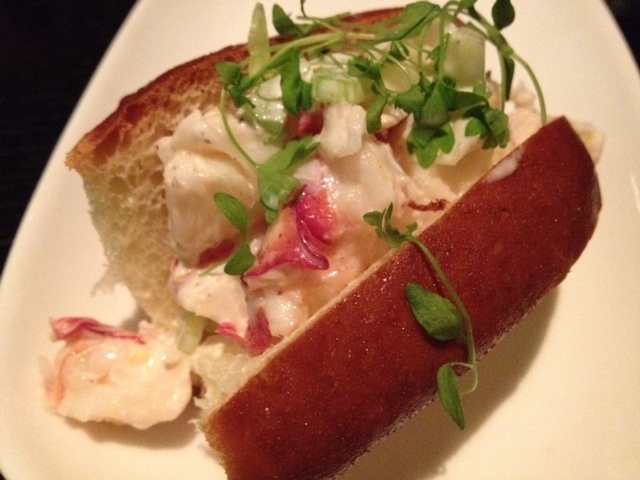 It has large chunks of fresh Maine lobster and is served on a soft bun. It is light on the mayo, which I prefer, and also has a touch of lemon. The citrus really helped to cut the richness of the lobster and mayo. These fries are to die for. They are deep-fried in duck fat, topped with grated Pecorino Romano cheese and served with white truffle aioli. Talk about indulgent! They are so rich, I could really only have a few, but they are definitely worth a taste. This dish is made with Laughing Bird shrimp, which are farm-raised shrimp from the Caribbean. 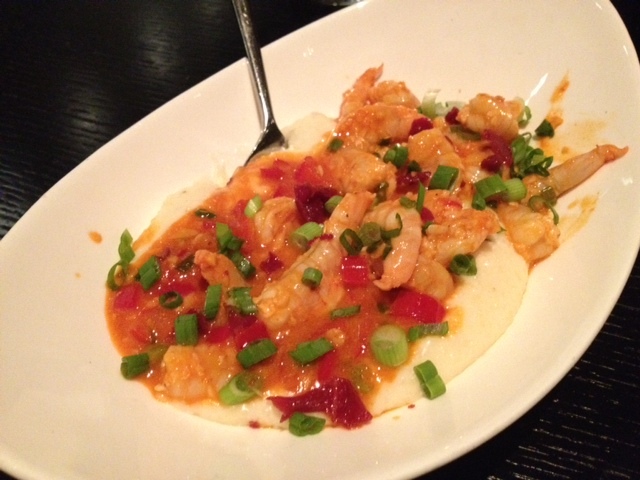 The shrimp are served in a spicy sauce over cheddar grits. It is topped with crispy bacon and green onion which gave the creamy texture a nice crunch. 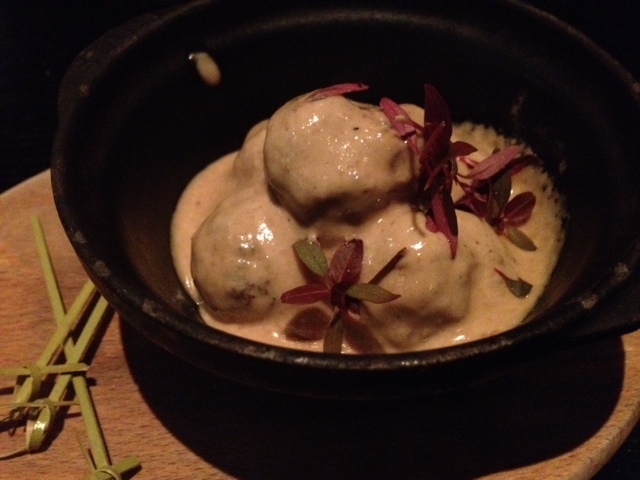 These meatballs were my favorite dish of the evening. The perfectly cooked bite-sized meatballs are served in a decadent gorgonzola and walnut cream sauce. So good! You really can’t go wrong with chicken and waffles. 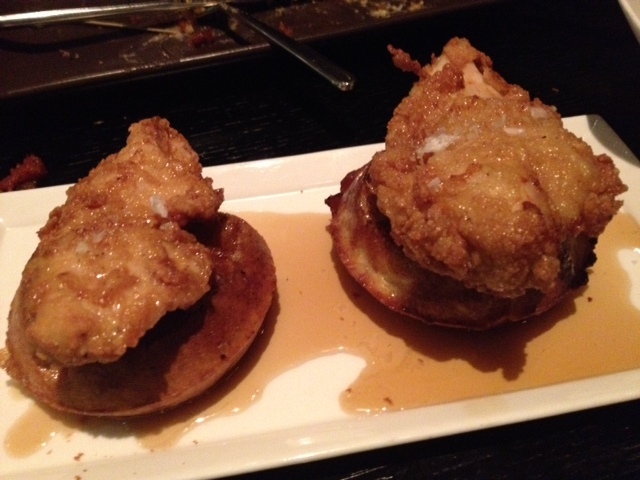 This dish featured buttermilk fried chicken on top of a mini waffle with bourbon maple syrup. This is the ultimate soul food. The only problem with this dish was that they brought it out last, and unfortunately we were too full to eat it all. Love the new look my friend!